The Taiwan KOM Challenge is an utterly unique experience. Each year the prestige and mystique of this 105 kilometer event boasting over 3275m of elevation gain continues to grow. For this fourth edition our intrepid Coach Matt McNamara set out to tackle the beast. . . Standing next to my bike 80 kilometers into this journey of a thousand deaths, I fear I have reached my limit. The last 8 kilometers have taken forty-five minutes and brought me only 1,477 feet (448m) closer to the summit. There are still over 3,200 feet left to climb and just over 2 hours to make the six-hour time cut imposed by race officials. This was not the plan. Over the past four years the Taiwan KOM Challenge has built itself a reputation as one of the most imposing climbs in the World. Fully 105 kilometers of nearly non-stop climbing that rises from sea level to over 10,300 feet (3275m) with numerous pitches above 15%, a final 10 kilometers that averages better than 10%, and touching, albeit briefly, 27% in once section, it is a challenge that gives pause to even the most ardent climbing enthusiast. 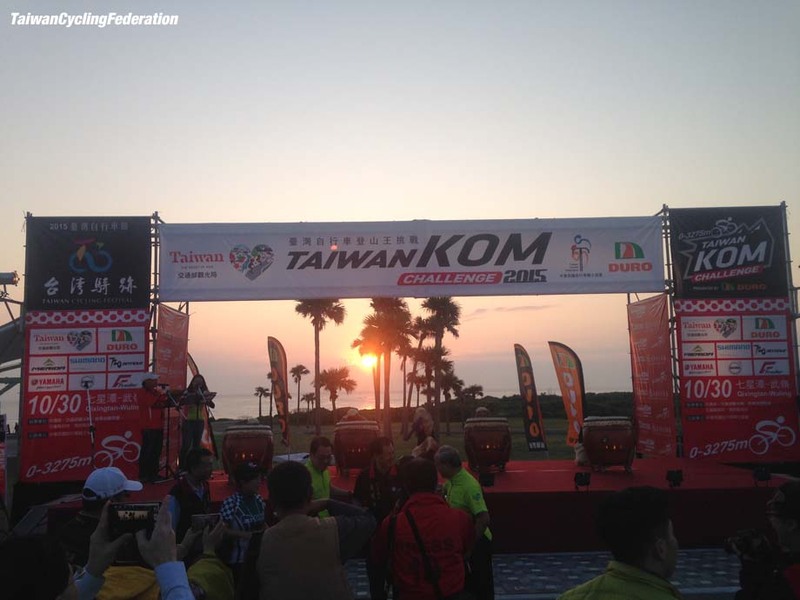 That it aspires to become “the KOM of KOM’s” is not a grandiose dream, but rather a goal near in the making, for each year the legend of The Taiwan KOM Challenge grows. Hours back from my low point, as we turned left onto the main road up Toroko Gorge, I was at the front of the field, feeling antsy to protect my position and avoid whatever mayhem lay behind me. I wasn’t about to fall victim to a touch of bars with a “lesser” rider and go down. Over the past few days I’d settled into a certain security about what was to come. Sure, it would be hard, how could it not, but really it couldn’t be that bad, could it? I’d spent the week prior riding and building friendships with some of the best climbers in the World and it had lulled me into a false sense of security that I was still a “real racer”, competent and capable enough to tackle this climb without regard to failing. Those first kilometers flew by as we churned up the opening slopes at 15-18 miles per hour. The route description said we’d average 3-4% for the opening 50 miles or so, which had given me pause when contemplating the ride, but here I was sitting easily in the first 20 riders, rotating myself to the front when I drifted too far back, taking a little extra wind and pushing hard over the initial steep sections as needed. We passed a massive arc of gravel and rock that had closed down the highway several years prior. We rolled into and through tunnels, over bridges painted bright red, past shrines, and amongst towering walls of the canyon - some of the most gorgeous scenery you are likely to encounter. It was thrilling! About 90 minutes into the ride I dropped off the lead group, an hour later the wheels came off. 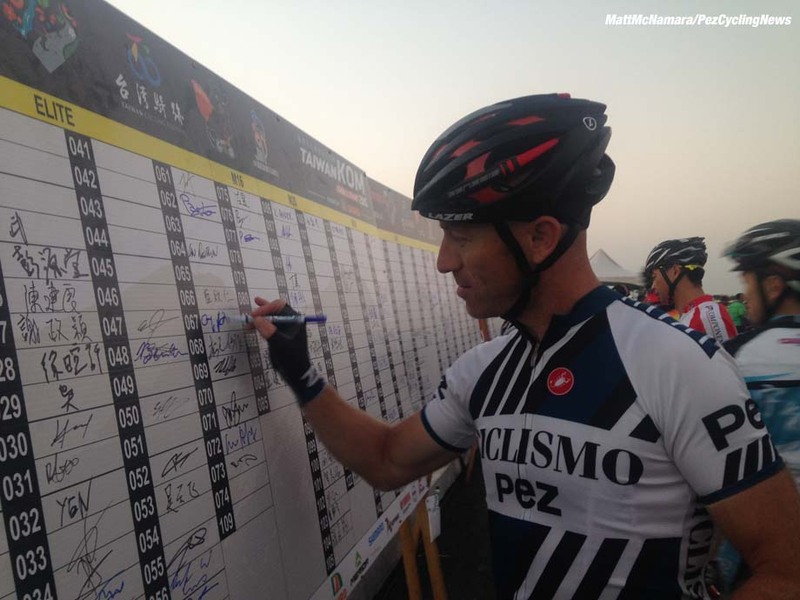 This year 412 riders, from 32 different countries toed the line for the 6:30am start. After a rousing sunrise drum ceremony offered by members of the Taroko tribe, indigenous peoples of the island whose history is intertwined with the area, and for whom the spectacular gorge is named, we set off on our way. 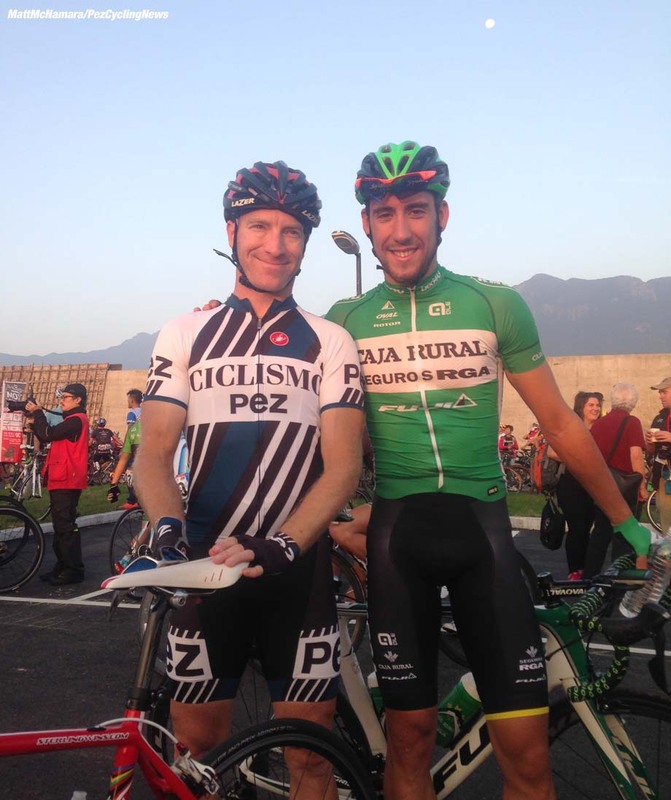 Attending this years race were a varied mix of climbing talents including Omar Fraile (Caja Rural), KOM winner at this years’ Vuelta a España, John Ebsen (Androni–Giocattoli-Sidermec), a two time winner and defending champion, current Irish hill climb and Criterium champion Mark Dowling, Taiwanese Pro Tour debutante Chun-Kai Feng of Lampre-Merida, a strong contingent of Kenyan riders, and 2010 Giro D’Italia stage winner Damien Monier (Bridgestone Anchor), among others. On the ladies side defending Champion Marg Fedyna lined up against 45 other tenacious and talented women, including pre-race favorite (and 2013 race winner) Eri Yonamine from Japan, top Taiwanese rider Hsiao-Chia Tseng, Belgian based pro Christine Vardaros, and Aussie Ali Watts to tackle this monster right alongside the men. As I lay prone over my top tube,my mind nearly as spent as my legs, I am not certain that I can do another couple of hours at the same dead slow pace, yet I can go no faster. Empty for the last 20 miles or so, I motored through two bananas and a full bottle of electrolyte drink at the last feed zone located next to the 3,200 year old BiLu Holy Tree a couple of twisting miles below my current perch. The tree, a spectacular Lunta Pine, stands tallest among its peers at nearly 150 feet (50m) and is a subtle reminder that you are no longer amongst the dense tropical vegetation of the low lands, but instead nearly 7,500 feet into the atmosphere. Far ahead of me the race is in full flight. Jon Ebsen has launched a solid attack, detonating the front group of 12 riders down to five inside the final, nefarious, 10 kilometers. At four kilometers to go it is down to just Ebsen and Frenchman Monnier to battle for the win, with Monnier finally getting the better of the two time defending champion by 33 seconds over those last few kilometers, achieving victory in a scant 3:34:19. The top 10 were separated by six minutes fifty seconds, a testament to the difficulty encountered in the final 10 kilometers. On the women’s side Yonamine strode to a convincing 17 minute victory over Fedyna in a time, 4:03:29, that put her well inside the top 50 overall. 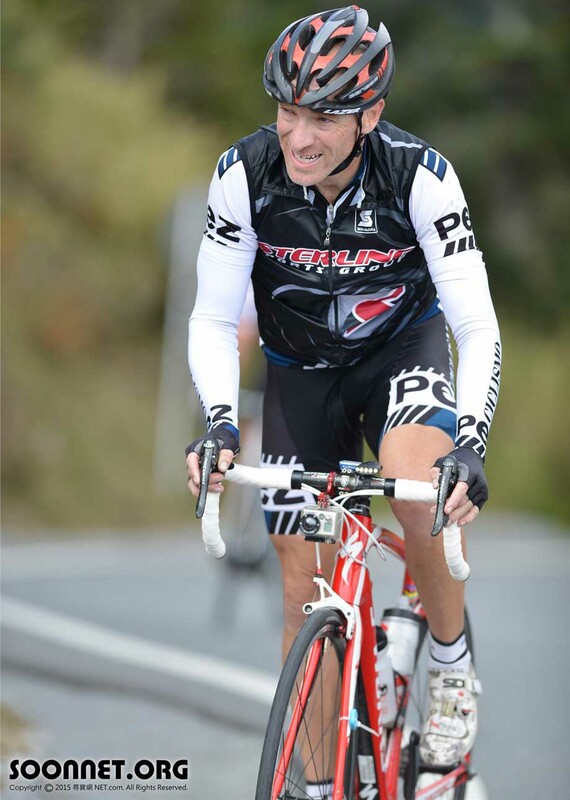 At roughly the same time, and at the crux of my self doubt, Taiwanese Cycling Federation representative and all around great guy Scott Ellinger rolls by looking consistent and strong. He offers simple encouragement to me: “Just get to the next aid station!” A few minutes later I climb back on my bike, don my arm warmers and vest in anticipation of the upcoming 3km descent, and set off again. I am rewarded with a rejuvenating thrill ride down the twisting pavement, nearly over-cooking a couple of turns in the process. As the road turns back up I find a steady wheel and follow a few meters behind tapping out a stronger rhythm that eventually leads me back to Scott, with whom I climb much of the remaining route. 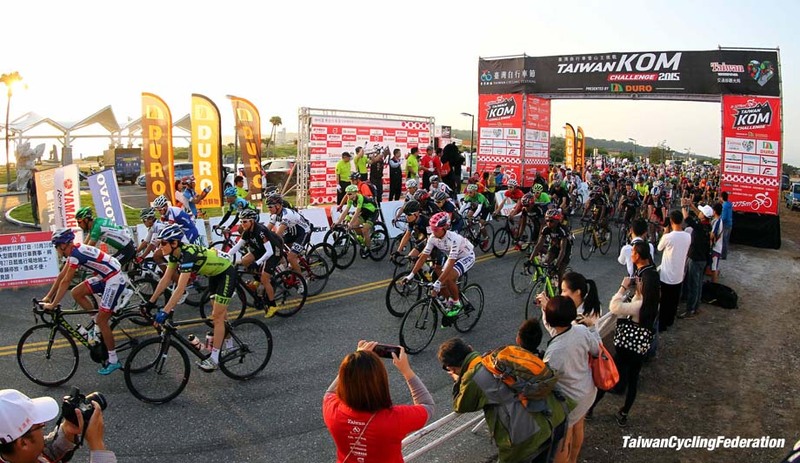 The Taiwan Tourism Board and Taiwan Cycling Federation are the primary drivers of this event and they did an amazing job. Shepparding over 400 riders across a hundred kilometers of open road with only a handful of accidents and mishaps is impressive. 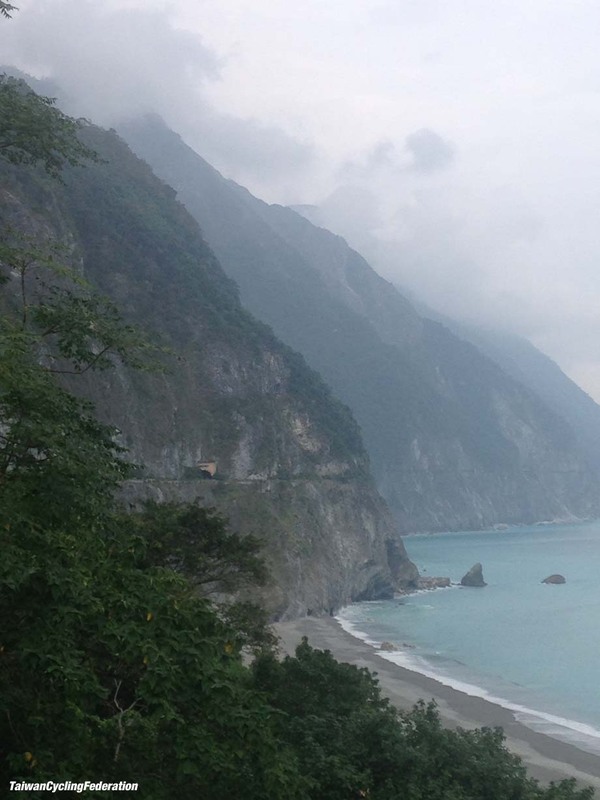 When combined with the, essentially, rural location and logistical challenges of moving riders from Taipei to Hualien and back their dedication and professionalism shines through all the more. A perfect example is the return trip to Taipei for the closing awards ceremony the day after the race. Our group of a dozen or so invited journalists and riders were happily chatting away as we entered the twisting highway along the Cingshui cliffs when our route was interrupted by a landslide that had closed the highway. Without missing a beat our chaperones quickly reversed course to a nearby train station, procured tickets for the lot of us and had us moving again in less than 10 minutes! The muscle cramps are in full orchestral delight now, rotating between legs and individual muscles at regular intervals. I tell myself just to keep pedaling lest I stop and go into full seizure. Time and again this strategy works as I surmount the final kilometers one pedal stroke at a time. Indeed my average speed over the final 10km and 2,600 feet is an improbable 5.5mph (9kmh). Within the last 500m I am forced off the bike for a second time as a small group of staff wielding elderly ladies hikes past. They offer encouragement in Chinese, which though I don’t understand, I comprehend steeling once again to push on. Inside the final two kilometers there is a small, cruel respite in the form of a couple hundred feet of descending before the final 500 feet of elevation gain in the last kilometer. It takes me 12 minutes to reach the line. After, as I sit in the van awaiting the nearly 3 hour return journey to the hotel I am filled with exhaustion and pride that I stayed the course. Those moments I thought of quitting I considered how far I’d come to try and my closest family crept into my consciousness; my daughter’s ceaseless encouragement and my late cousin, saddled with Muscular Dystrophy, for whom I dedicate all my riding and life adventures simply because I have the glorious freedom of movement that allows me to push my body to the brink time and again. I will be back next year inspired again to simply try. 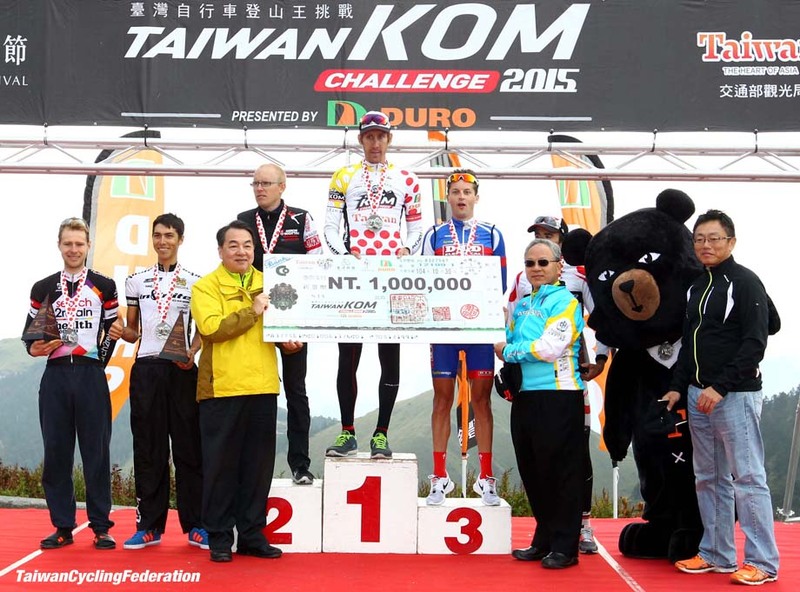 The organizers and Taiwanese officials on hand openly aspire to bring this event into the UCI calendar in the near future, the argument being that it will bring added legitimacy to the event and foster the goal of becoming the preeminent hill climb championship in the World. Personally, I am less enthusiastic about this future for it may well force a compromise in the event itself. 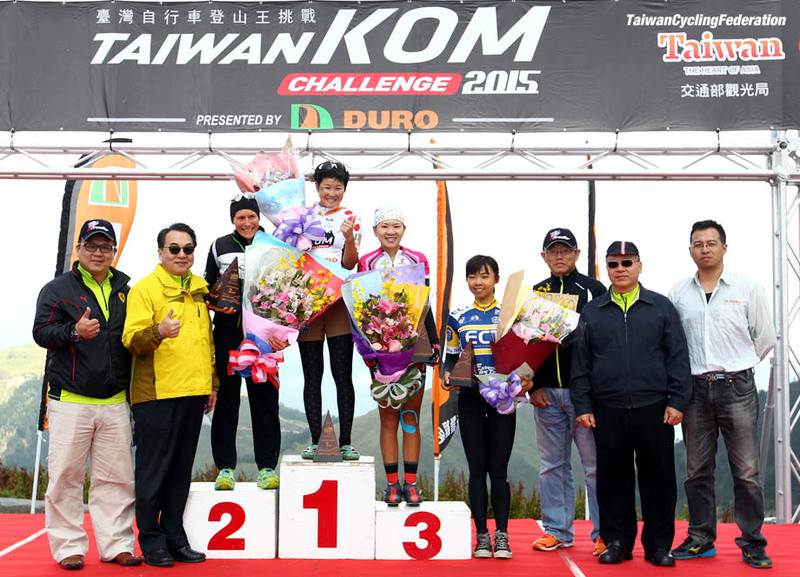 As it stands, the Taiwan KOM Challenge is a spectacular, wonderful event full of like minded crazies from around the World seeking that singular camaraderie that comes from mutual suffering and accomplishment. The start line was a casual atmosphere of fun and anticipation. Photos were snapped with the stars, smiles abounded, and the general feeling was one of joy at simply being there. 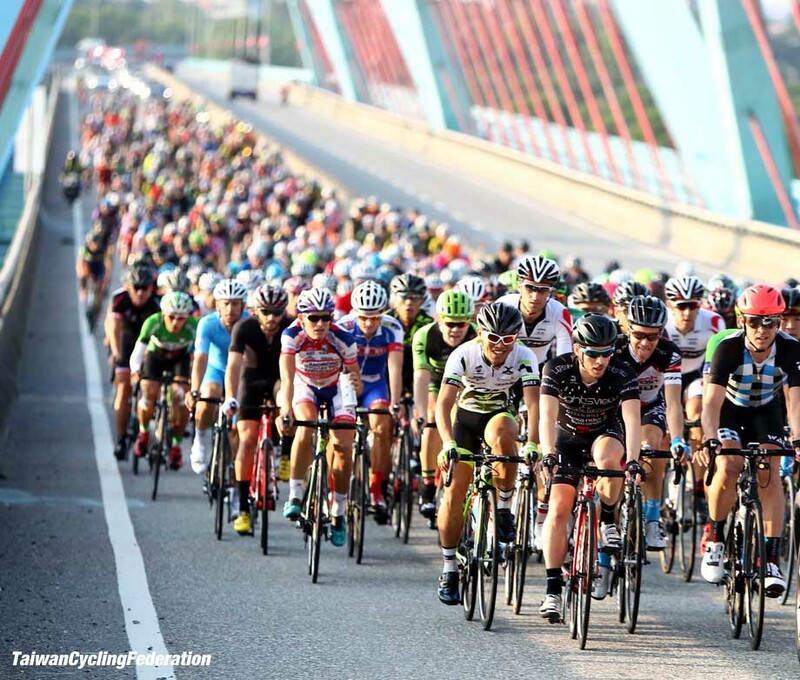 Surely bringing Pro Tour teams and their requisite serious demeanor and inherent tension to the start in Hualien will eliminate this atmosphere, likely forcing the amateurs to race on a different day entirely. Such is the nature of pro racing that there isn’t room for such enjoyment in its purest sense. Doubtless the race would be impressive and the times astounding…but in the process more would be lost than gained. In addition the event might be forced back from its staunch “no doping” policy that sees any rider who previously served a suspension for PED use kindly refused entry. This is the future of cycling, this is where the event should continue to set the high standard it already does. Let the clean pros who aspire to claim the title of King of Kings come volitionally and compete side-by-side with the rest of us in an arena where the sport is rekindled for the pure joy of the challenge. Thanks to the Taiwan Tourism Board and Taiwan Cycling Federation for hosting me on this trip. Also a special thanks to my friends at Stages Powermeters, Wayne Stetina at Shimano and Isaac Howe and his Airport Ninja Bike Case (review coming soon!) for helping me pull this off in style!